This is a great guide to a Printable Infographic about How to Live with Introverts - a.k.a. people who think painting alone in their studios or plein air is the best thing ever! I think it's a really brilliant explanation for the big difference between Introverts and Extroverts and who some artists hate going to their own Private Views! I'm intrigued as to the psychological profiles of artists and how they function in society - and within art societies. I'm also trying to work out how to do a poll about this - but am currently stuck! Any suggestions? Andy Murray is playing in the Finals at Wimbledon! Update - he won - to be the first male Brit to win Wimbledon for 77 years in a match played on the 7th day of the 7th month! 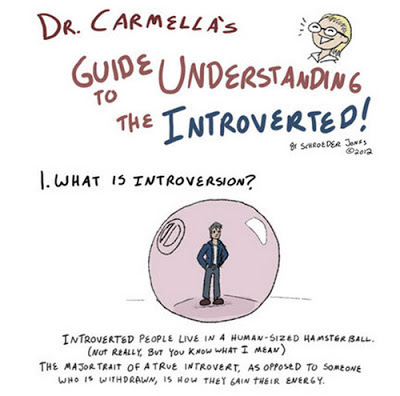 The advice on how to interact with an introvert seems like it might work equally well on just about anyone! 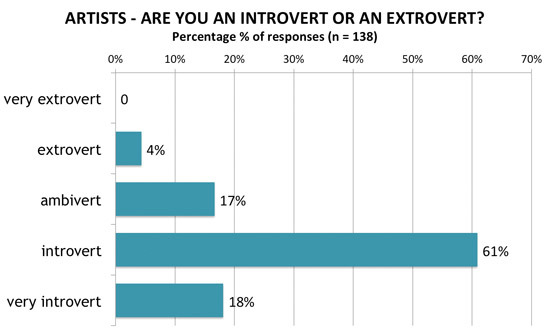 Perhaps introverts are just more likely to want to retreat from invasion of space than some, but overall, the cartoon seemed to be just common courtesy towards anyone. I am very much an introvert, and treasure the great amount of solitude I have. I cannot really function very well when overwhelmed too long, too often, by crowds. Making art goes best for me in solitude and silence, too, and I could probably count on one hand the people I can tolerate being around when I paint, (and only one at a time of those!). I love silence while others say they must have music, too. My lifestyle would drive some people crazy and vice versa! However you'd be surprised by the number of extroverted people who assume that everybody is like their fun-loving gregarious outgoing personality.